Learn how to get Open edX up and running smoothly and quickly. Our finest community members will lead workshops on running Open edX. The morning will focus on Docker-based devstack operation and creating your own push-button process, and the afternoon will feature a new distribution from IBM designed for ease of use. This workshop will provide you with 10 steps for setting up a small single-server instance of Open edX for production use. We will also discuss the differences between the sandbox installation described in the official documentation and a true production installation. Learn how to deploy and manage your Open edX instance in Kubernetes using Docker. This workshop will guide you step-by-step through how to deploy your own Open edX instance on Kubernetes. The Cognitive Class team will also share what they’ve learned over the years about running Open edX on Docker and about experiences with Kubernetes for the Open edX free trial. Get your Open edX operation working! TAs will be on hand to help guide you through your installation and configuration. Join edX CEO Anant Agarwal for a discussion and update to partners on edX vision and strategy. Learning is complex. Decades of research in the science of human learning have produced results that could transform education; however, research findings have not often made a positive impact on teaching practice, educational technology design, or student learning. Likewise, the wisdom of instructors and authentic learning experiences rarely have an impact on research. In this talk, I will describe a model for using educational technology to shift the relationship between learning research and teaching practice in service of simultaneously improving student learning and contributing to our fundamental understanding of human learning. The MOOC movement has been a catalyst for the creation of digital-learning materials, with over 100 institutions in the edX consortium creating nearly 500,000 individual videos, problems, and pages since 2012. Through a new system called DART (Digital Assets for Reuse in Teaching), we are unbundling edX content and other digital content sources so that resources are searchable and reusable in the residential LMS at Harvard. Through DART, all Harvard instructors and students can now search, browse, and receive recommendations for edX content as well as Harvard channels from YouTube, SoundCloud, and Kaltura.We will highlight use cases and live demo the most relevant features, while outlining our vision for how content can be more broadly utilized across universities. In this review of the production and delivery ratios associated with distance education, we will discuss recent innovations like teacher-bots and the extensive use of OERs that make it possible to reduce the cost of course production and delivery. We will also make predictions about how the price performance of online courses will improve over the next ten years. We use the Open edX platform to design and deliver experiential, engaging, skills-focused professional development courses. Using client case studies, this talk will explore patterns in the challenges faced by those providing and receiving professional development training in the twenty-first century. We will share how we have responded to these challenges through learning design innovation, UX-design, platform extensions, and the integration of the Rocketchat tool. Inclusive design affords equal opportunities to diverse learners by strategically adjusting content to influence how learners perceive the digital environment of a course (Kizilcec, 2017). MOOC courseware allows us to design content experiments that test how the gender, ethnicity, and status (expert vs. peer) of instructors affects outcomes for certain learners. We will discuss our learnings from the two content experiments we conducted exploring how the identity of instructors appearing in course welcome videos affected learners' behavior and outcomes. How well does Open edX adapt to current trends of e-learning? We’ll identify and describe a number of trends in e-learning (such as social learning, interactivity, and adaptive learning) and state their advantages from a learning point of view. There are hundreds of learning platforms out there, and often Open edX is a great option. 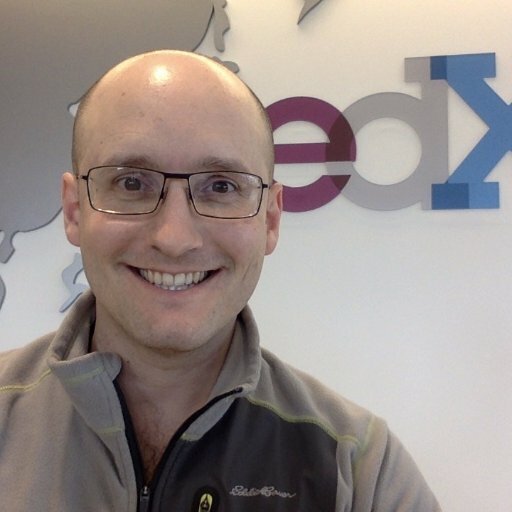 What's missing in Open edX to make it even more attractive? Participants are invited to share, discuss, and contribute. Enormous investments have been made by universities, governments, and private industry in developing online courses in every field imaginable. But the dream of their widespread use to support personalized learning has been hampered by millions of individual digital assets being locked in the indivisible unit of the course. True personalized learning requires that these assets be searchable and dynamically remixed to meet the assessed need of the individual learner. The next generation of Open edX, with the new Blockstore architecture contributed by LabXchange, will be the largest open source platform with the potential to dynamically deliver different learning assets as part of personalized learning. In addition, integration of this open architecture for personalized learning with social networking designed to promote the sharing of learning experiences will enable their collective application to global challenges. This reimagines online learning as simultaneously more personal at the individual level and more collectively engaged at the societal level. At One Laptop per Child, I used to draw a line in the sand regarding the use of free/libre open source software. Education was unequivocally on the must-be-FOSS side of the line because transparency is critical to fostering curiosity and independent thinking. With the current inroads that AI is making into educational software, it is again important to consider transparency. Transparent AI is bringing learning into day-to-day work through assistance with on-the-job training and corporate e-learning. In this talk, I will review the role that transparency plays in elementary and secondary education, and I will describe how Sorcero's use of cognitive computing harnesses AI in support of both subject-matter experts and learners in the workplace. In recent years, ASU has adapted the Open edX platform to meet educational challenges for a broad range of projects. We’ve pioneered many innovative educational technology and practices, from providing an earned pathway to full university admission and deploying workplace readiness courses for refugee, displaced, and marginalized learners to creating a suite of personal and professional development courses in multiple languages for employees of a multinational corporation. In this panel discussion, ASU will cover how Open edX has been a critical tool for delivering these socially impactful new programs. Aimed at educators, content authors, and anyone involved with Open edX and online education, this talk will explain LabXchange, a new platform that connects life science communities in a collaborative learning environment. We will demonstrate how LabXchange works and discuss why we decided to build it using Open edX. We’ll also explain how LabXchange exemplifies the new authoring workflows and instructional design paradigms that Blockstore will enable.